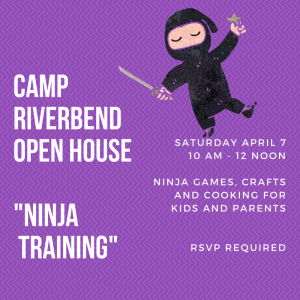 You are summoned to attend Camp Riverbend’s “Ninja Training” Open House! Saturday April 7, 10 am – 12 noon. Fun Riverbend activities, including games, crafts and cooking for kids and parents, run by our amazing counselors. Take a tour of the camp site with our directors. Free! RSVP required to [email protected] or 908-580-CAMP. 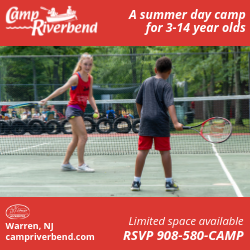 Camp Riverbend is 30 minutes from downtown Jersey City; summer bus service included. 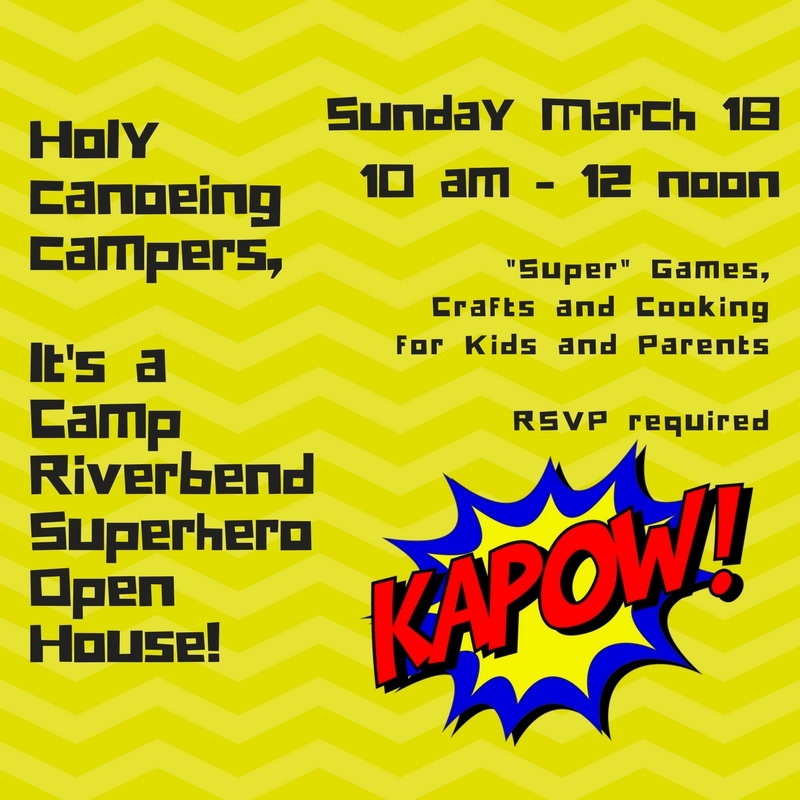 Holy canoeing campers…its Camp Riverbend’s Super Hero Open House! Sunday March 18, 10 am – 12 noon. “Super” fun Riverbend activities, including games, crafts and cooking for kids and parents, run by our amazing counselors. Take a tour of the camp site with our directors. Free! RSVP required to [email protected] or 908-580-CAMP. 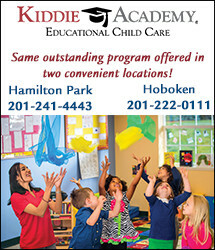 Camp Riverbend is 30 minutes from downtown Jersey City and Hoboken; bus service included. 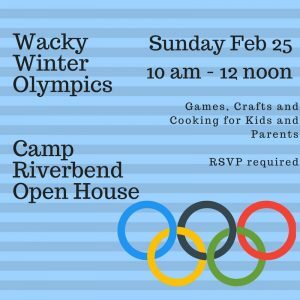 Come sample @CampRiverbend’s awesome summer activities at our “Wacky Winter Olympics” Open House Sunday February 25, 10 am – 12 noon. We will have lots of fun Riverbend activities, including games, crafts and cooking for kids and parents, run by our amazing counselors. Take a tour of the camp site with our directors. Free! RSVP required to [email protected] or 908-580-CAMP. Let the games begin! 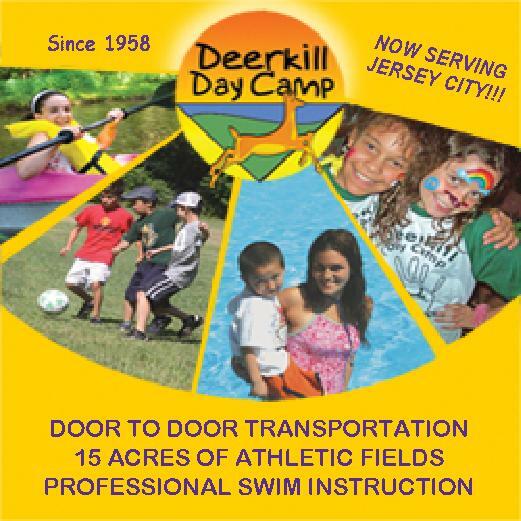 Camp Riverbend is 30 minutes from downtown Jersey City and Hoboken; daily summer bus service included. If your child has a birthday coming up, you are likely looking for a special birthday cake! 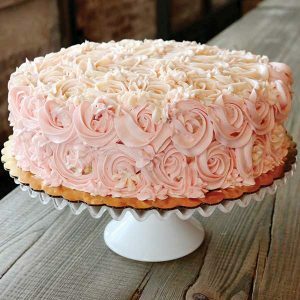 Of course, homemade cakes are always special and delicious, but sometimes life gets in the way and you are too busy to whip up a complicated birthday cake from scratch. Luckily, Jersey City and Hoboken have a ton of great places where you can purchase super yummy and beautiful kids birthday cakes. 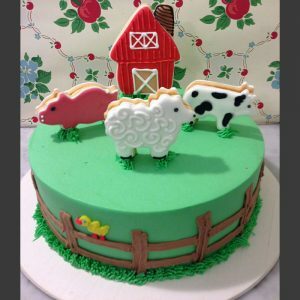 In this post, we will explore the best kids birthday cakes in Jersey City & Hoboken! This awesome bakery can do both regular birthday cakes and cupcakes. You can completely customize the size, flavor, and shape of your birthday cake. Maybe your little girl is looking for a Minnie Mouse cake or you are looking to celebrate your little boy’s first birthday with a #1 shaped cake, whatever it is, they can do it! 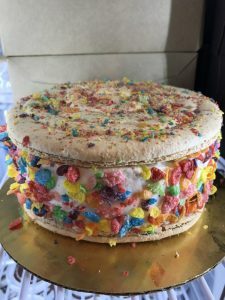 If your kid is looking for a unique cake and they also love their ice cream, look no further than Milk Sugar Love’s huge ice cream sandwich cake! What is so great about this option is everything is organic, making it a safer and healthier option to feed your kids, family, and friends. This is a cool way to switch up their birthday cake making it one of the best kids birthday cakes in Jersey City and Hoboken! This bakery has been in business since 1999, and we can see why. Their cakes are delicious and beautiful. 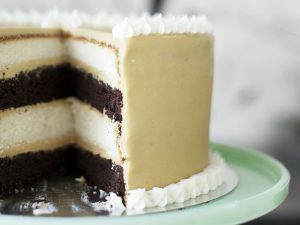 You can choose any cake flavor, filling, and frosting you would like and every layer can be different if you so choose. 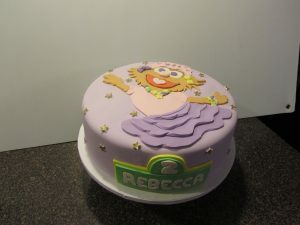 They do awesome children’s cakes, which makes it one of the best kids birthday cakes in Jersey City and Hoboken! 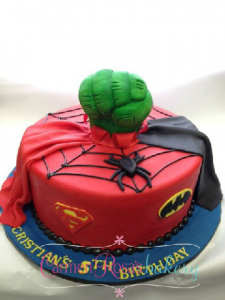 This bakery makes custom cakes and would be delighted to bake your little one’s next special birthday cake. You can choose your flavors and your decorations and whether you want your cake covered in buttercream frosting or fondant. With an endless amount of cake flavors and frostings to choose from, this place has a little something for both kids and adults alike. Maybe try their peanut butter cake with PB frosting and chocolate or vanilla cake! 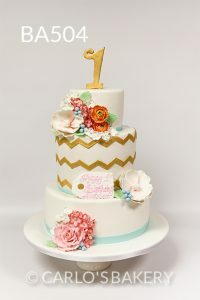 Sweet is one of the best kids birthday cakes in Jersey City and Hoboken! These beautiful cakes from the Hudson Cakery are perfect for birthdays! You can choose from an array of beautiful and fun styles and they also have some amazing cake flavors like red velvet and funfetti! They do gluten-free cakes as well, which is perfect if your child has a gluten intolerance. 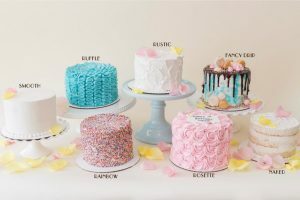 These gluten-free cake options make this bakery the best kids birthday cakes in Jersey City and Hoboken! Although this bakery is located in Montclair, it had to go on the list since they have nut-free options and all of their baked goods are nut-free as well. However, if your child has a very severe nut allergy, you may want to call and speak with them first about it prior to ordering. 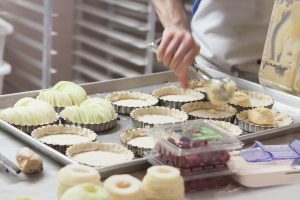 Of course, this famous cake shop and bakery have made the list. This place is known for their yummy and vibrant cakes, which is perfect for a little kid’s birthday cake. You can choose from many different cake options and also custom design your cake with them! This famous bakery definitely earns a spot in the best kids birthday cakes in Jersey City and Hoboken! This bakery specializes on gluten-free and plant-based baked good, but that doesn’t mean they don’t taste sinful because they do! 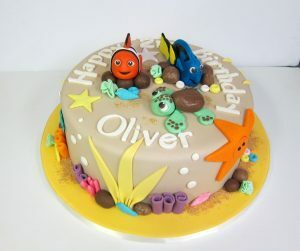 You can special order your little one’s birthday cake from here with different sizes, flavors, and fillings. This dedicated gluten-free bakery specializes in granola and other baked goods, including cakes and cupcakes. They are great for kid’s birthday parties and they have a bunch of different flavors to choose from. 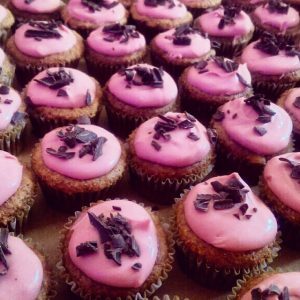 Try their pumpkin spice cupcake or their delicious Lord Grey chocolate cake! This French bakery has some of the most delicious breads and pastries, and they can also do special order birthday cakes as well. Call one of the few shops in both Jersey City and Hoboken to speak with them about special ordering a birthday cake. Although this is not a pumpkin patch, they sure do have a large variety of pumpkins, in both look and size. They are delivered to the market fresh every day from local farms and are great for a hassle-free and easy way to bring your kids to pick out their Halloween pumpkins. You can also find a variety of fall decorations, like corn stalks, gourds, and multi-color corn! You cannot get any closer place to go pumpkin picking near Jersey City since this is actually in JC! Located in Ridgewood, NJ, this pumpkin patch is only a short drive from Jersey City and offers a traditional pumpkin picking experience. They have a ton of different pumpkins, fall decorations, yummy fall and Halloween treats, and lots of cute Halloween displays set up around the patch. 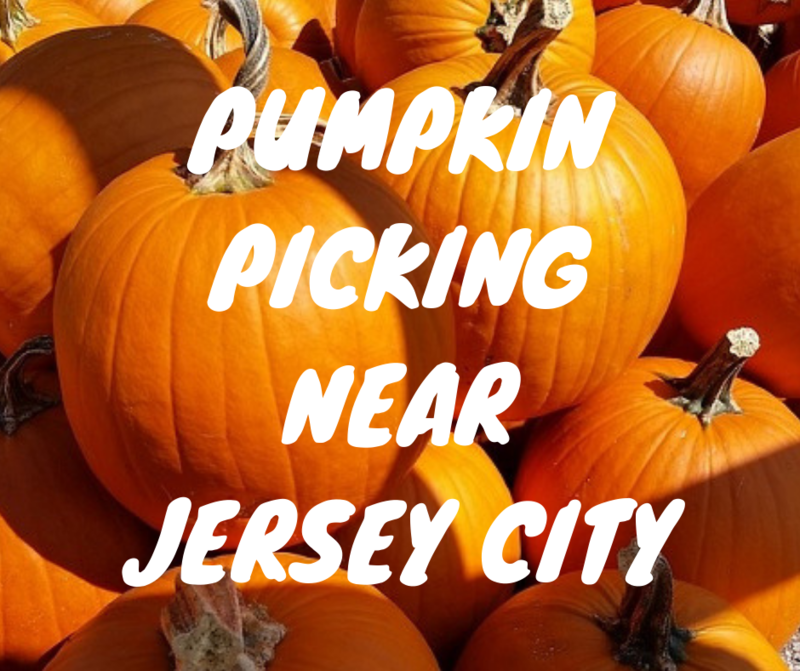 This is a great option for pumpkin picking near Jersey City for the little ones. If you are looking to take your pumpkin picking experience one step further, Riamede Farms lets you actually cut your pumpkin right off the vine! You need to bring your own cutting sheers, so make sure you don’t leave the house without your own pair. 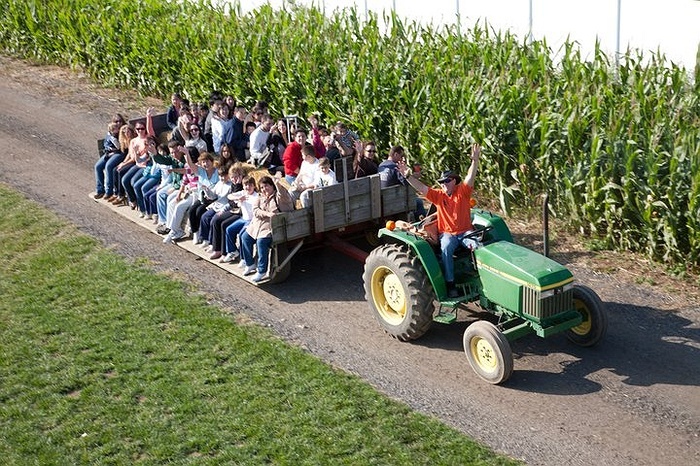 This farm offers free hayrides on the weekends throughout the pumpkin patch and the orchard as well. The patch is located in Chester, NJ! Chester, NJ making another appearance on our list! This farm has pick your own pumpkins in the patch as well as pick your own apples! 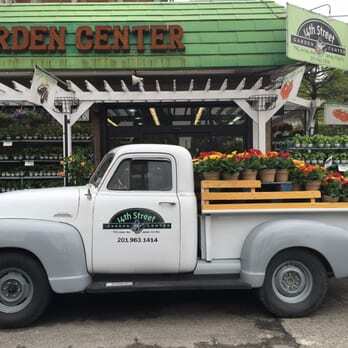 They have a farm market store that features seasonal plants and some delicious homemade baked goods. One of the best features of this farm is their new Maze Fun Park. 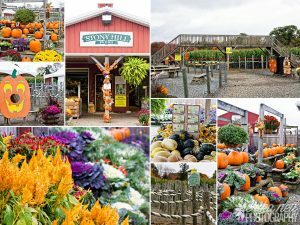 From apple picking to pumpkin picking, hayrides, cider, pies, bread, soups, ice cream, farm tours, there is always something to do or eat at Sun High located in Randolph, NJ! There is something for the whole family at this wonderful orchard. Third times a charm! 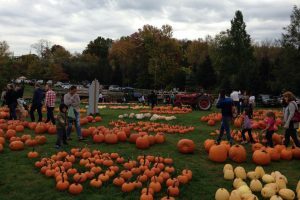 This Chester, NJ patch is truly one of the best places to go pumpkin picking near Jersey City! They have Farm Fun Days, live music, apple and pumpkin picking, Harvest Moon Hayrides, Night Time Corn Maze, Cedar Mill Tours, pumpkin pancake breakfasts, and so much more! 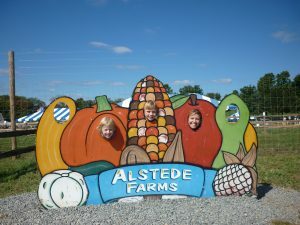 This is a farm where you will get a true family-friendly fall experience. This is a family run farm in North Salem, NY where you can pick your own pumpkins right from the patch. On the weekends throughout the fall they have hayrides, farm animals, bouncy castles, and live music, which is perfect for the little ones. The Fall Festival weekends will be held every weekend from September 8th – October 28th as well as Monday September 10th, Wednesday September 19th, and Columbus Day Monday October 8th. This is a super popular fall family spot and one of the best places to go pumpkin picking near Jersey City. 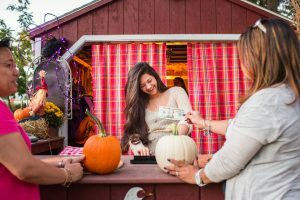 Tucked away is Long Island, this place features a massive corn maze, pumpkin patch playground, hayrides, and a petting zoo. For the adults and older kids, there is a scary haunted house. 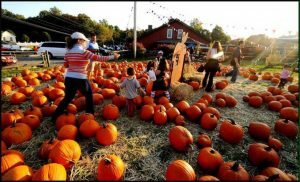 Of course, there is great pumpkin picking and they hold fall festivals and events every weekend through the fall season. If you don’t mind crowds and tons of people, Wilkens pumpkin patch and farm is always a crowd favorite. They have a pumpkin patch and offer apple picking. They have free hayrides for taking you out to the patch and orchards on the ground are quite hilly in this location. 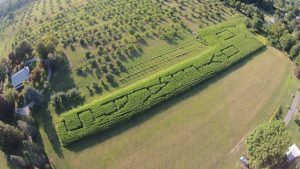 Just like many of our other options, this farm has a large corn maze. Dance classes are great for both kids and adults alike. They are interactive, fun, active, and a great way to meet new friends and people in your community. Jersey City has an abundance is different dance studios that range from ballet to salsa to hip-hop. There is certainly no shortage of dance studios to choose from or different dances to learn. 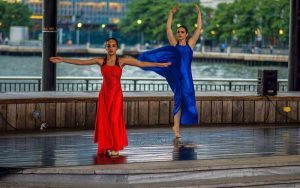 In this post, we will explore some of the best dance classes for kids and adults in Jersey City. Grab your dance shoes and outfit and let’s find some awesome dance classes for the whole family! Pursue your dance resolutions! We’re here to help with our all-star lineup of group classes ranging from beginner classes for those starting out to advanced group sessions that will make you sweat. Get individual and personalized instruction from our top instructors for that extra mile of dance improvement. Whether you’re just starting out and want to put your best foot forward, or aiming to perform and compete at the highest level, we’re here for you. Dance classes starting as early as 18 months, you can get your little ones right into the world of dance from the very start. From classes like ballet, jazz, tap, musical theatre, hip-hop, and more, this is one of the best dance classes for kids in Jersey City. Learn how to dance like a pro with Jacquie! You can take her classes like Mixed Bag Jazz, Swing Dance, and Dance Workout. She also offers private lessons if that is more your style. As the only licensed salsa studio for both kids and adults in Jersey City, you can be sure you are getting top quality dance training at this salsa studio. They have a ton of different classes to choose from, ranging from beginners classes to advanced classes. 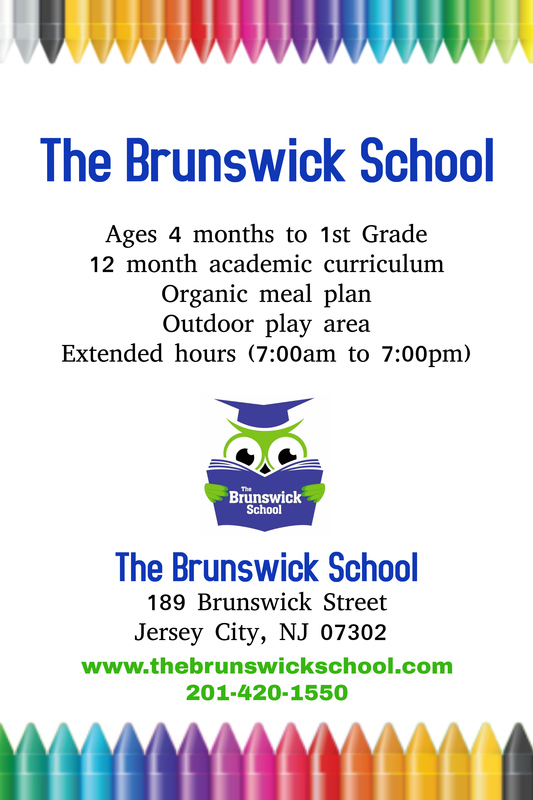 Their kid’s program is open to kids from ages 7 to 12 years old. They are 9-month long programs and help to teach kids good posture, self-confidence, build self-esteem, and develop motor skills and social skills. 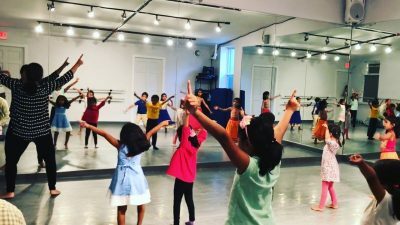 This unique dance studio is one of the best dance classes for kids and adults in Jersey City. JC Dance Academy has some of the best dance classes and programs in the entire state. They offer year round classes and classes over the summer for when school is out. You can take classes like musical theatre jazz, modern dance, gymnastics for the super young ones, and tons more. This makes it one of the best dance classes for kids and adults in Jersey City. Nimbus Dance Works offers training in Ballet, Modern and Hip-Hop, and other forms of dance for children 2+, teens, and adults. This studio likes to focus on small sized classes that are aimed to make you a better dancer. Although classes are a bit more serious, you don’t need to want a professional dance career to participate in classes. They also encourage those who are just looking to explore the creative movement of dance as well. This professional dance studio is one of the best dance classes for kids and adults in Jersey City. Offering classes throughout the year and dance camps in the summer, Kennedy Dancers has you covered. They have been in business since 1976 and are a non-profit American dance company. You can choose from a variety of classes like ballroom dancing, Latin social, ballet, belly dancing, Zumba, contemporary dance, and so much more. This dance studio offers kid classes, adult classes, summer camps, and private lessons. 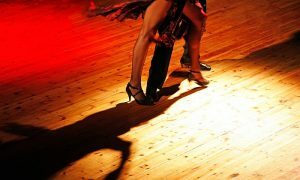 From classes like Tumble Tots and acrobatic dance to flamenco and salsa dancing for the adults, there is a little something for everyone. This Barre studio offers classes for both kids and adults. Their adult class SL Core combines Barre movements, strength training, and upbeat music combined with dance to provide you with an awesome heart pumping workout. Saanwee is a place for quality learning in the field of Traditional Indian, Latin and Ballroom Dancing for both children and adults. 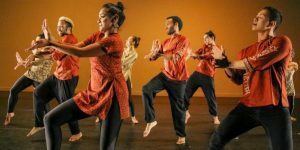 Based in Jersey City, we provide customized private and group lessons in Bharatanatyam, Bollywood, Salsa, Bachata, Tango, Swing, Waltz and more. We also specialize in Wedding Dance Lessons and training for performances. 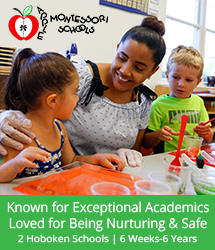 We are known to teach with love, patience and motivation, bringing a new perspective and an immersive experience for all ages. Jersey City is filled with an abundance of restaurants. You can find a little bit of everything in the city – from Cuben to Thai to Italian eateries. Furthermore, there are plenty of restaurants that are perfect for the whole family. It is often challenging for an entire family, small or large, to agree on a place to have breakfast, lunch, or dinner. 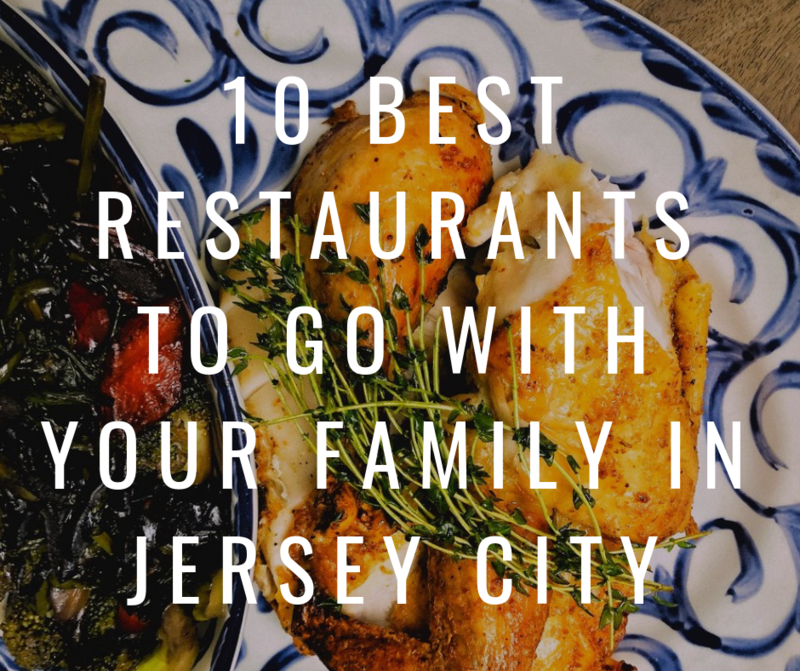 Thankfully, this list explores the 10 best restaurants to go with family in Jersey City. The restaurants below offer a wide range of food options, have a great family-friendly and welcoming atmosphere, and serve up some seriously delicious food. Your family is sure to leave with full and happy bellies! This family owned diner is truly a special experience. It’s a place where regular customers are known by name, kids are loved, and the food is made with passion and excitement. 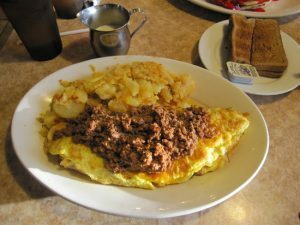 When eating at Brownstone, it will feel like family making your breakfast on a Sunday morning. Located on the very popular Grove Street, this industrial style cafe has delicious tea and coffee. 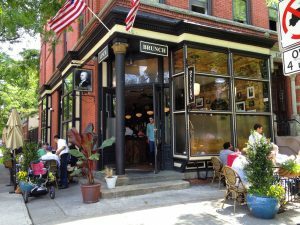 They serve brunch until around 3 pm every day and lunch begins at 12 pm. Kids love their simple smoothies, pancakes, and milk. They also have outdoor seating, which is perfect for when the weather is nice or if you need more room for strollers. 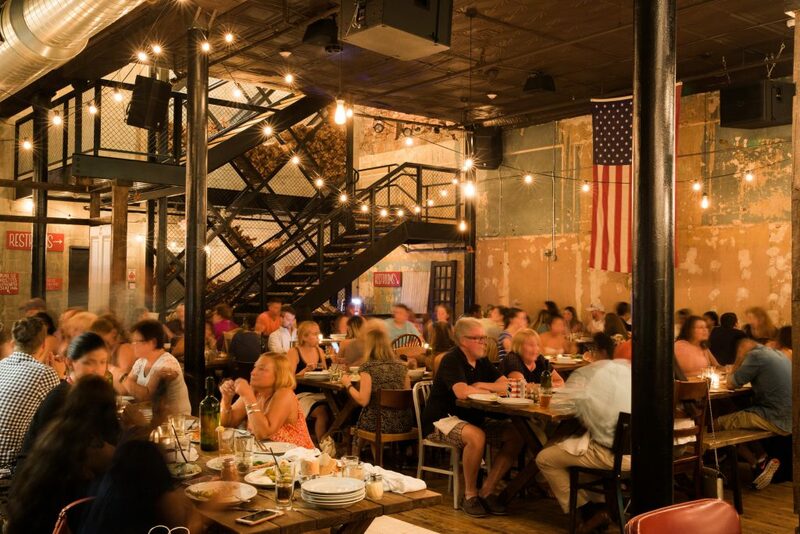 We highly recommend you check this top 10 best restaurants to go with family in Jersey City. 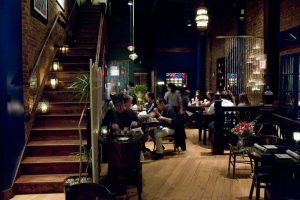 Located conveniently in Downtown Jersey City, Porta is a spacious restaurant that resides in a former pharmacy located right off of Newark Avenue’s pedestrian walkway. 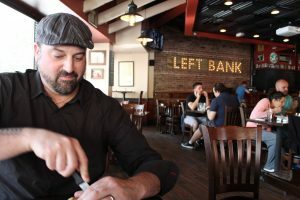 The restaurant opened its doors in 2014, and the three-story restaurant includes one of the few rooftop spaces in the city, spanning an entire block with two full bars and dining. There’s definitely enough room at Porta for the whole family to enjoy a nice meal together. 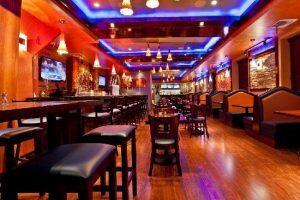 If you are looking for the perfect family dinner sport, Skinner’s loft is certainly one of the best restaurants to go with the family in Jersey City. This place is very kid-friendly since they offer an array of markers, paper, and stickers to the little ones. The kid’s menu consists of the usual like griller cheese, pasta, and chicken fingers, but the main menu also has burgers and mac and cheese, which are also great for kids as well. Parents will love more adult options like lentil nachos, short ribs, and mushroom pizza. Their super funky and cool dining room will keep the kids occupied and fascinated the entire dinner! It’s a must-go pizza place and one of the 10 best restaurants to go with family in Jersey City. With coloring books and crayons given to kids when you are seated, you will win over the kids with this burger bar immediately. They offer up some serious delicious burgers and have great kid meal options like freshly battered chicken fingers, sliders, and ice cream. The huge and towering burgers may be a bit complicated for the little ones, but parents will devour these fun and creative burgers. A huge plus is their burgers are made with grass fed beef. Rumba Cubana is located right off Hamilton Park, and this place will definitely fill your crave for Cuban Food. The restaurant takes pride in their cuban style dishes and beverages that are sure to satisfy what you are longing for. Whether you want a heavy dish or something easy on the tummy, they’ve got what you want. They also got several child friendly options, and it’s a great place to bring your kids after a playdate in Hamilton Park. 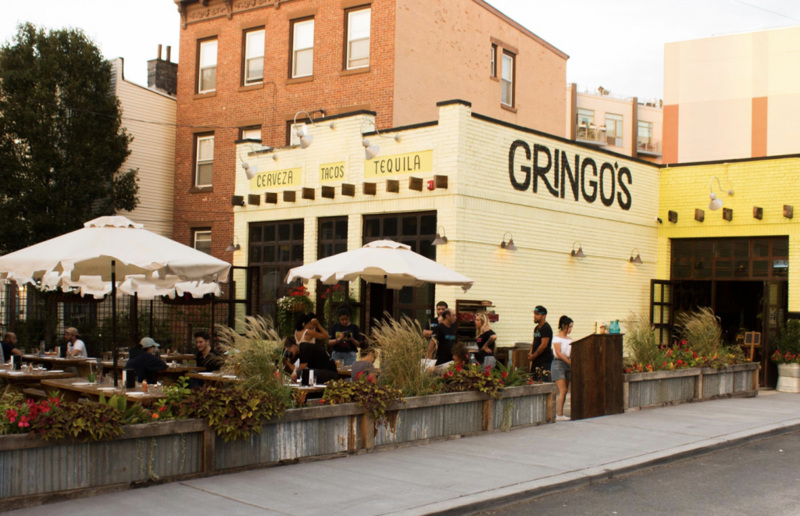 Gringo’s Tacos is inspired by the fusion of ancient techniques and modern dining sensibility. The got a spacious outdoor seating area, and it’s more than enough room inside as well. It’s here where the best of Mexican and American cuisines become one, to provide the most unique tastes unavailable anywhere else. Through collaboration of our shared culinary cultures, they’ve crafted an unforgettable experience of diverse flavors through relatable food and cocktails. 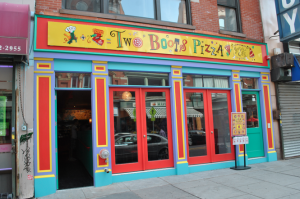 Why not bring the family here after a stroll in Van Vorst Park? Waffles, thick French Toast, pancakes, huge burgers, chicken finger, and so much more, this 24-hour diner is perfect for the whole family. There is something for everyone in the family here and it a definite crowd pleaser. City Diner is one of the 10 best restaurants to go with family in Jersey City. This classic downtown joint is rich with history and its food is incredible. For the kids, they have chicken fingers, french fries, pasta dishes with tomato or butter, and the cutest mini pizzas. For the parents and adults, the menu consists of options like ahi tuna burgers, huge salads, lobster rolls, and lamb burgers. Yum! 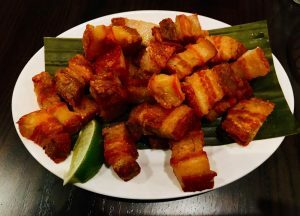 You and the family should certainly try this option for 10 best restaurants to go with family in Jersey City. 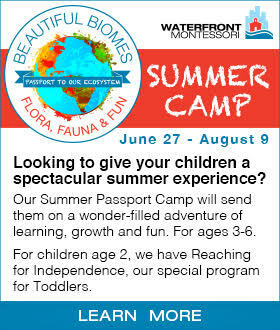 Looking for summer fun and enrichment for your kids ages 4-11? Then MUA Summer Community Camp is the place for you. SIGN UP today!!! Registration ends June 2 and space is limited. Weekly Themes, Enrichment: STEM activities, Reading Club, Creative Writing, Field Trips, Outdoor/Indoor Sports and Games, Arts & Crafts, Specialized Week Intensives with Performing Artists, Independent Filmmaker and so much more. Free Breakfast and Lunch provided. Discover the hidden jewel of Union City Day Camp! OPEN TO THE COMMUNITY for BUILDING A BRIDGE OF LEARNING AND FUN!!!!! 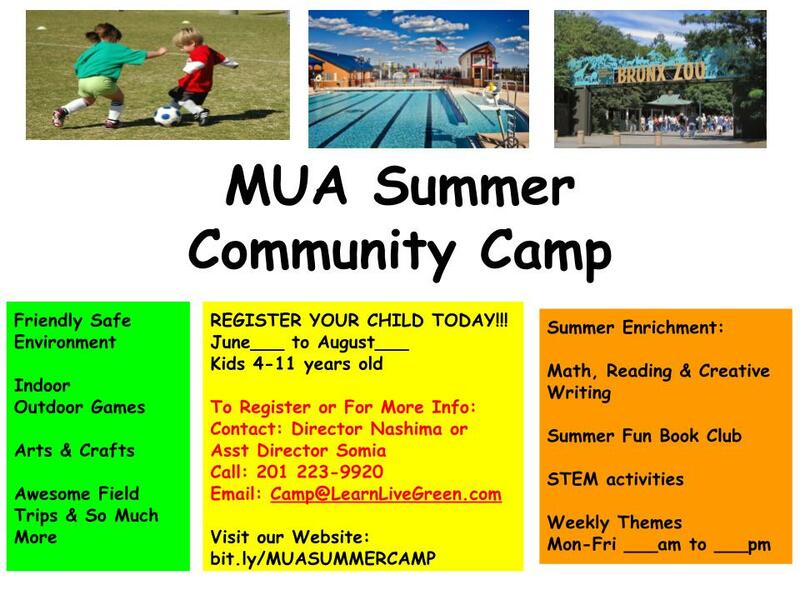 Visit our site bit.ly/MUASUMMERCAMP to download the registration today!